Give your customers the hunting light they’ve been waiting for! You can have our top of the line hunting lights on your store shelves and drive your sales with the products your customers have been begging for! Just fill out the contact form below and we will call you asap to discuss our excellent dealer program. QUALITY – Predator Hunter Outdoors products are second to none in quality, value, and durability. 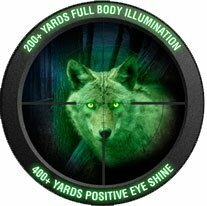 Whether after coyotes or hogs, customers are eager to put one of these lights in their hunting pack. DISCOUNTS – We offer great dealer discounts, which means a better profit margin for you! SHELF READY – Our products are all store ready and packaged in a quality hard shell case. FULL CUSTOMER SUPPORT – Industry leading customer support. We take care of our customers the way they expect to be treated. INDUSTRY LEADING 5-YEAR WARRANTY – We really believe in our products and stand behind them completely. As a result, we guarantee the quality of our lights for a full 5 years. Don’t wait! Give us the opportunity to tell you why you need to carry Predator Hunter Outdoors products in your store! We’ve partnered with some excellent retailers to bring our products into your neighborhood. If you can’t find one near you, remember you can always order via our online store and we’ll send it right to your doorstep! 9293 NE 199th St. Rd. 428 N. Wolf Creek St.